Christi’s Green Cleaning is Now Hiring! 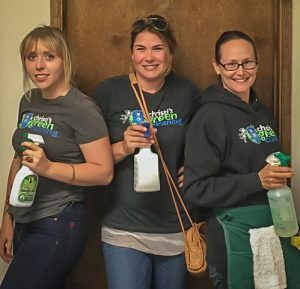 Self-motivated, energetic, detail oriented person wanted to join our team at Christi’s Green Cleaning. Do you like physical, fast paced work and working independently? Would you like a job promoting healthy homes and a healthy planet? Looking for long-term stable employment? Don’t mind having a “dirty job”? This position is for you! We require a criminal background check, physical, must be able to lift and carry up to 40 pounds, FLEXIBLE schedule, RELIABLE vehicle, STABLE work history (must have been employed with same company for AT LEAST 1 year). Excellent work ethic a must! If you meet all of the above requirements, please complete and submit an application at the following link.